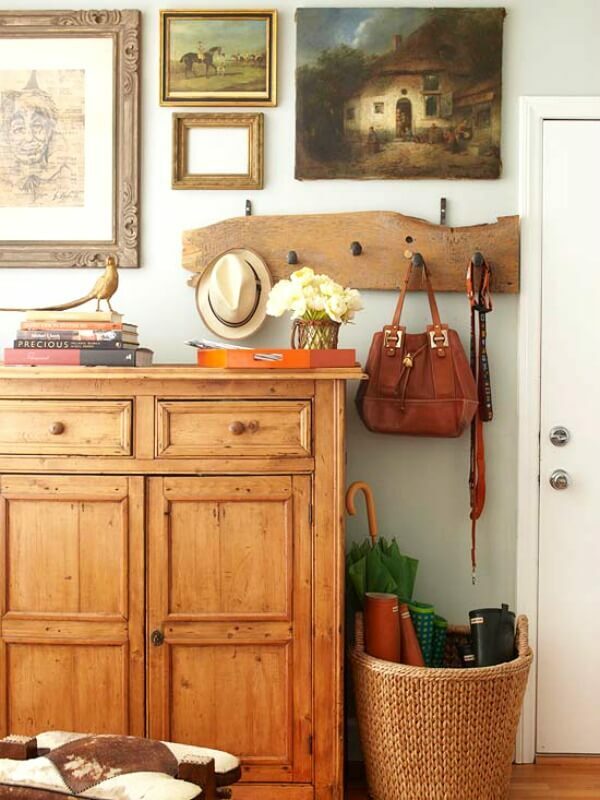 This apartment resident both lives and works from home. The living room shares space with the home office. Since there is no real foyer, the illusion of one has been created just inside the apartment door for boots, keys, and mail. Since most of this room is taken up by the living room and home office areas, dining space is at a premium. Dishes and linens and such are stored in the heirloom dresser. By being creative, this resident has a fully functioning office blended right into the tight living space. The look is unified by using the same color palette. A trio of shelves on one wall and cubbies on the other puts the walls to work in this small space. 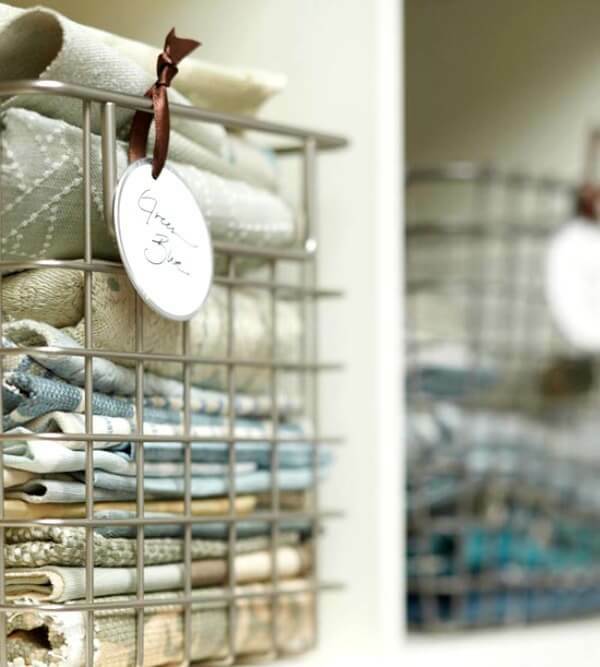 By using see-through containers, the resident’s fabric samples are both organized and accessible. 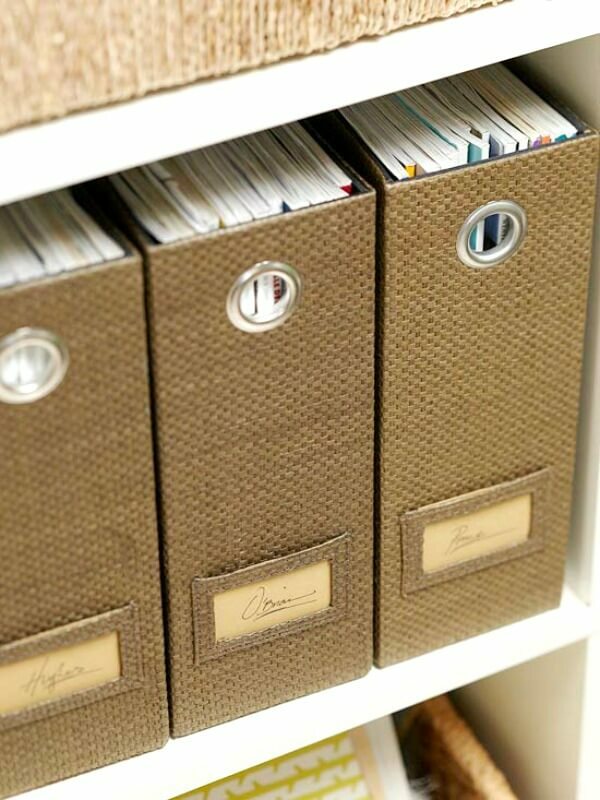 Bills, brochures and paperwork are stored in sturdy file boxes. 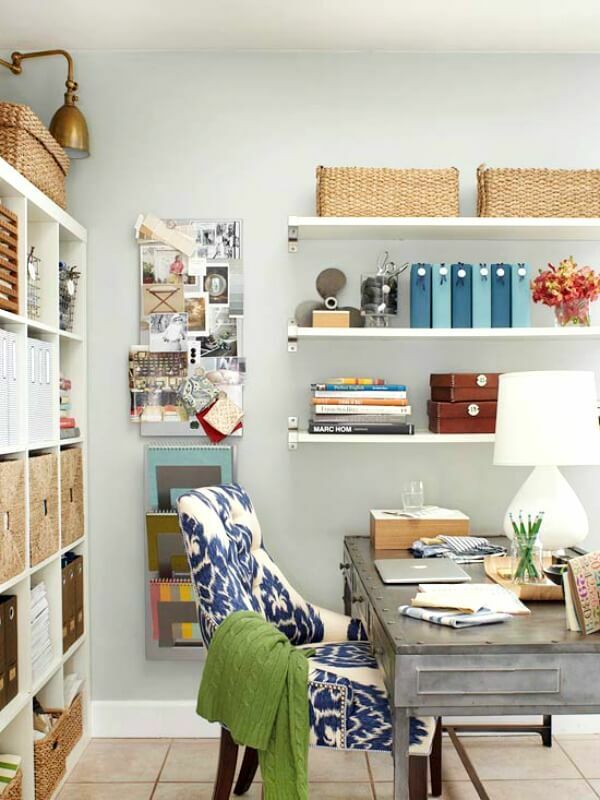 The mix of both open and closed storage makes this office space look tidy and professional. 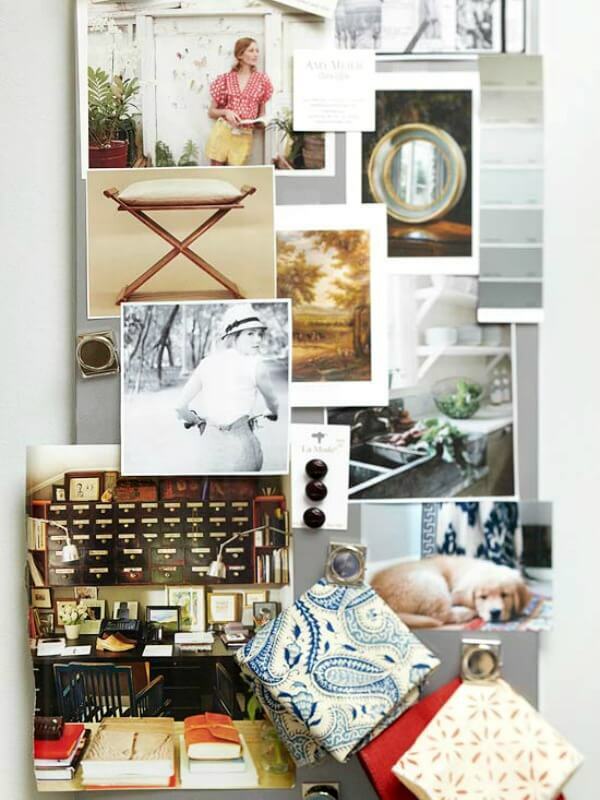 Magnetic memo boards are great additions to office spaces. For designers, they’re ideal for showcasing inspirational photos and notes. 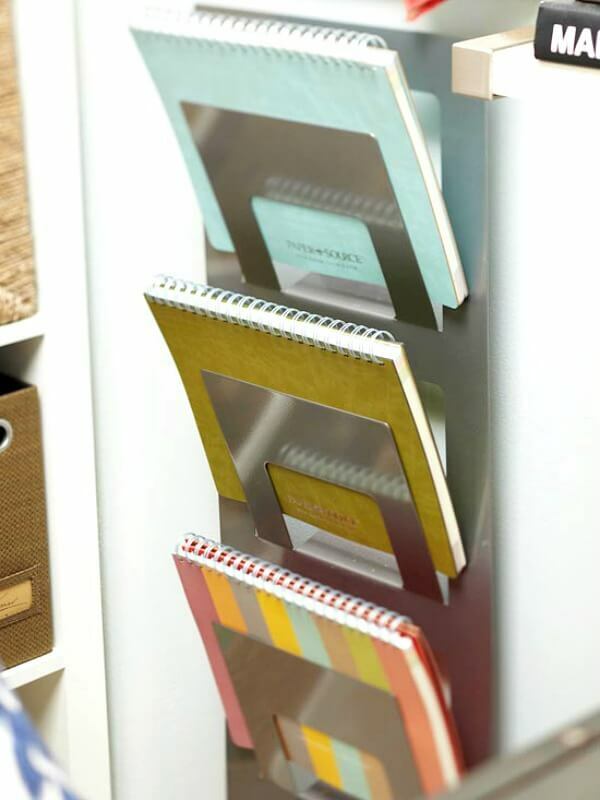 A wall-mount file folder utilizes vertical wall space, an essential component for a small space. 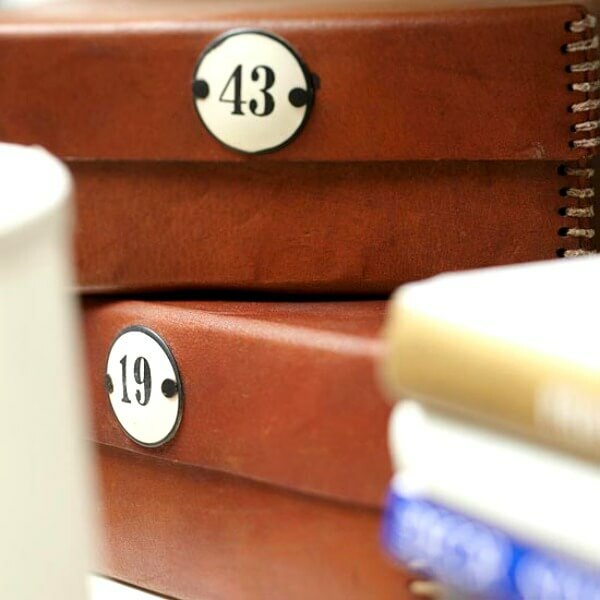 Leather boxes hold office supplies, envelopes and notebooks. 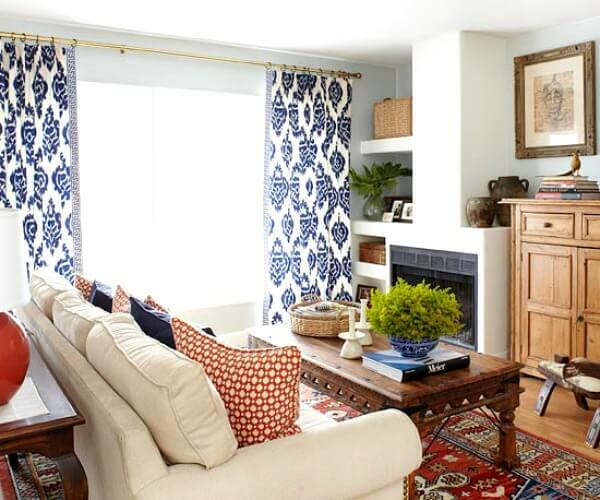 I hope these home/home office photos has given you ideas and inspiration for your own space. Just when I think you've already shown my favorite place, you show another one I like even better. 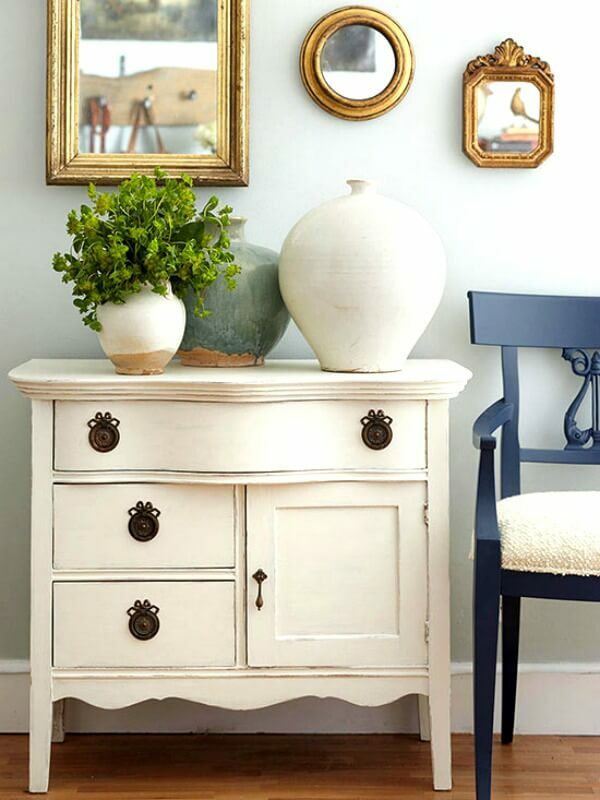 There are lots of traditional elements here, but they seem put together in a fresh way. I think the very faint touch of blue/green color in the wall paint has something to do with the fresh, light feel of the room. The shades of red and blue in the fabrics are my favorites. Thanks for sharing this calm and inviting space. Great apartment and I love the decor. Love this Brenda. 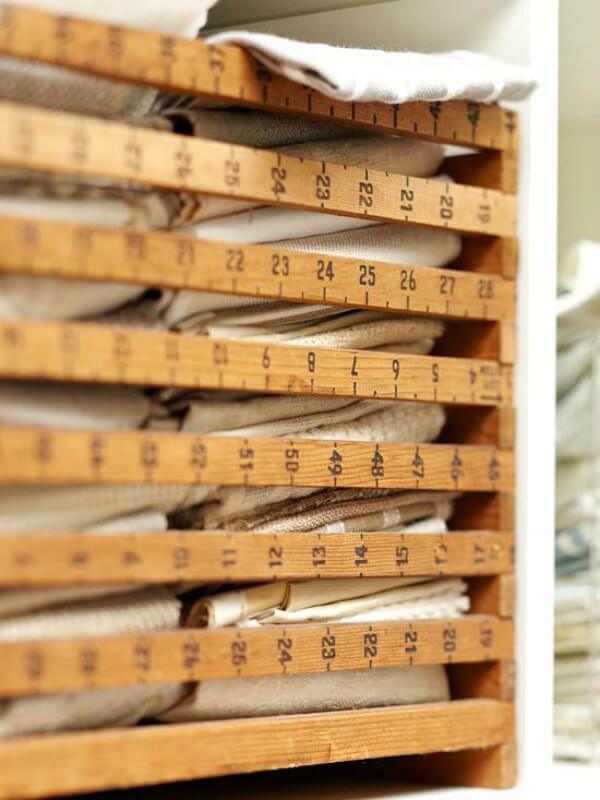 I have learned now with living in a smaller space you have to have your rooms multi task too! Have a great new week. I love these little spaces. Everything looks great and functional. Sorry. I thought I added the source. It's added now. I love the way they have decorated this space. What an amazing space!! There's no way her office is that clean all the time, not possible! I know what my desk looks like right now and it is not pretty! What a talent for beautiful pieces that add interest, an eye for balance, and an attitude of function and fun!